“Sometimes we do the wrong things for the right reasons” Kung Fu Panda 3 (2016). It started well enough. Everybody gathered at the ground on time and the sun shone brightly. 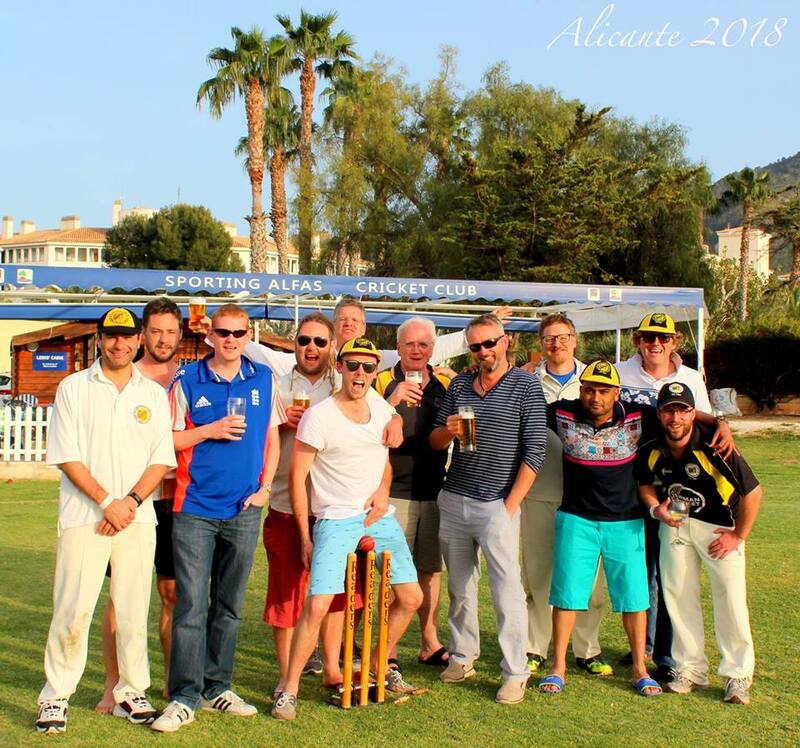 This was the second meeting between the two sides in the league, Ernsgaden having won narrowly in the previous game. It later transpired that they had played a number of unregistered players, were subsequently fined by the league committee and the match result…. remained in favour of EGCC. Understandably, the MCC players had a point to prove. This alone was no cause for concern. It’s perfectly healthy to use an injustice for motivation. You just don’t want it to boil over. 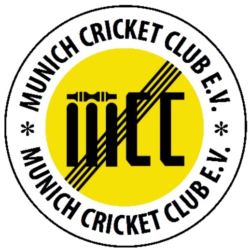 But there were early signs of other things to come as the league umpire, who seemed nervous as well zealously officious, began quoting regulations before we had got from the car to the MCC basecamp on the other side of the ground. MCC won the toss and elected to bowl. A tactic which has been working well for us, with our bowlers firing on all cylinders. If I describe every incident here for you, you’re going to miss your bus, forget about the toast under the grill, flood the bathroom or simply die of old age. It was relentless. It started from the very first over and continued right through the match. From Mudi being told that he wasn’t allowed to shine the ball too much, to square leg umpires being told that they were not allowed to make decisions, Instead having to hold a mobile phone and record every ball so that decisions could be reviewed by himself. This included obvious catches behind not being given until he had reviewed the footage. Not for the ball carrying, this was evident from anywhere with a clear view within a two mile radius, but for whether the batsman had hit it!? LBW’s were also reviewed from the square leg camera footage. It was entirely farcical, massively distracting and did nothing for the harmony of the game. Tempers were tested at every turn. This was an all-time-low in match management for all of us. In amongst all of this mayhem, an actual game of cricket was trying to be played. Waqas Khan took the new ball, wasting no time in removing the opener with the 4th passing unceremoniously through the stumps (I’m doing this from memory, as the bloody scorebook has not been filled in properly again…). He took a second in his second over, Max running in from deep long on to take a very assured catch. All bowling was conducted from the same end as EGCC play on the BCV’s favoured wooden boards and coconut matting. Macca was doing the honours and he too got in on the action having their #3 pouched by Waqas at cover. You just can’t keep Waqas out of the game! Waqas was at it again, this time a tremendous diving effort from Mudi, taking a low one-handed catch at silly mid-off. Again Waqas struck, this time ct Westy, behind the stumps. Surely someone else would get a look in!? They did! Imtiaz, on for Macca had #6 caught square of the wicket by none other than…. WAQAS! He’s everywhere! Imti’s celebration was classic. He’s bowled really well all summer, but hasn’t been in the wickets. Today he was determined to vary pace and it had worked, extracting a false shot. The drought was broken and he fell to his knees like a man in prayer. Great to see plans work and great to see the passion we play with. I’d like to give you an indication of scores at the fall of each wicket, but I just don’t have them. What I can say is that wickets were falling regularly and the runs were hard to come by. The opposition were being sustained by wides and no-balls and the fact that the boundaries were exceptionally small. I can tell you that the scores went: 5,0,10,4,0,22 for the top six. However, the beefy batter at #7 was having none of it and he played an excellent innings of control and aggression. He was also instilling some pride in his bating partners, encouraging them to do better and support him. Consequently batters #8 (Ct Max, bowled Imtiaz), #9 (Ct Craig bowled Shashi – A brilliant two handed diving catch at cow corner, running around to his left from the running track and up a bank. You had to see it to do this catch justice. It was a stunner!) only made 2 and 5 respectively, but they hung around long enough for the beefy #7 to hit a very well-constructed 57, before the accurate bowling of Jonty Altmann saw his demise, Ct by Shashi at deep long on. Jonty rounded off proceedings, bowling #11 for naught. EGCC bowled out in 24.5 overs for 149. Outside of the ground, Ernsgaden was in distress. A fire engine was cruising the streets entreating the population not to flush their toilets as the local sewers had become backed up. Cries of “Achtung! Achtung!” emitting brusquely from the loudhailers. The authorities were dealing with it, which normally involves some poor sod (We’ll call him Donald) in overalls, with his arm shoved up to the shoulder in to something indescribably horrid, trying to alleviate a blockage. Mudi started brightly but Craig was undone by a good straight one and departed for 2. Mudi had raced to 33 and the partnership was already worth 38 after 6.1 0vers. New kid on the block, Daniel Weston marched out and the two put on another 37 before Mudi holed out at deep mid-on for his first 50 if the year. He finished on 56. All the while the game was staggering along under the constant distractions presented by the umpire. Seemingly cruising along, Messrs M Khan and J Deverill put a spanner in the works, both making a combined total of zero. Macca caught behind, Deverill bowled first ball. As I sat down to perform the longer part of my innings – taking my pads off – Maxi was walking to the crease. I sat down next to Wembo who had yet to pad up, despite being next in. It turned out he’d been caught short in more ways than one and was contemplating a dash to the other side of the ground where the toilets were located. The earlier rumblings had indeed been a portent of things to come. With Jonty already padded up and Maxi looking more solid than whatever was eating Wembo, a quick dash around the boundary was granted. When a relieved Wembo returned Maxi and Dan were still chipping away in the middle. “You don’t want to go in there for a while!” exclaimed Wembo. “I hope you didn’t flush the toilet?” enquired Jonty? It was then that a miserable howling could be heard as a poor Donald held up a fleshless arm before succumbing to vile and deadly fumes. MCC were 100 for 4. Sadly Dan was the next to fall, perceived LBW to a ball that hit him on the thigh. Nelson had struck. 111 -5. Overs were not an issue. We had plenty in hand, but the constant appealing and the Russian roulette of the decision making was making us all nervous. The recently unburdened Wembridge made a shaky start, the ball popping up of his bat or the bat jamming down late to keep one out. This was scrappy cricket and it needed some street fight keep us in the game. Maxi was caught for 11, just as he was looking fluent. 117 – 6. Jonty hit a boundary second ball but was gone the next, again given LBW to a ball that hit him high on the thigh and which most of us on the boundary heard him hit. 120-7. Still 30 runs needed. What happened next was attractional cricket. EGCC kept things tight, but every extra, every single hurt them. MCC cheered it all. The appeals kept raining down and the nerves kept tingling, but Wembo and Shashi blocked it all out and made the best of the bad ball. It was Wembo who began to free up (just as he had earlier) and the sluice gates opened, boundaries peppering the scorebook. The climax came with a wide down leg and the game was done. MCC winners by 3 wickets. Further conversations with the umpire were had. He wasn’t a bad bloke. Actually, he was a nice chap. He just couldn’t/wouldn’t/didn’t-have-the-confidence-to, make a decision. Regardless, he had thrown a brick in to the cake and spoilt a hard fought match. By the time I got to the car park Wembo had already made like a Panda and the rest of us were happy to leave it all on the field. A terrible game was only made bearable by having won it. Waqas 2, Weston 1, Mudi 1, Barrett 1, Maxi 1, Shashi 1. Batting: Mudi 56, Weston 29, Wembo 19*, Maxi 11, Shashi – the best made 1 you’ll ever see off 19 balls. MOM: It comes down to two players. Mudi for his 56 and Waqas. The question is which went furthest towards helping us win the game? Mudi had the game at his feet but went for a 6 we didn’t need. He was in good touch and could have seen us home. Waqas Khan blew away the top order and took two catches.